L Shape Connectors have excellent leakproof tube arrangements. 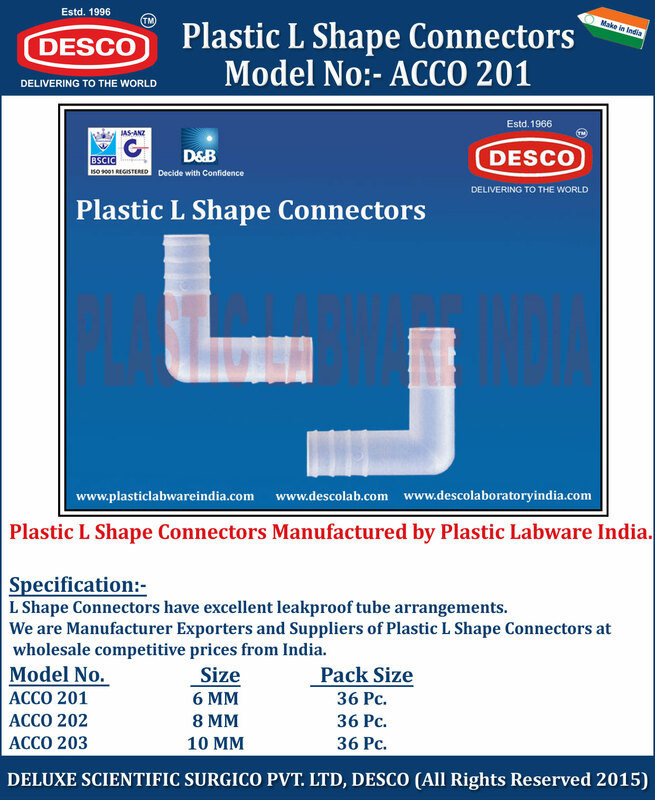 We are Manufacturer Exporters and Suppliers of Plastic L Shape Connectors at wholesale competitive prices from India. ACCO 201 6 MM 36 Pc. ACCO 202 8 MM 36 Pc. ACCO 203 10 MM 36 Pc.